It’s fascinating how our bodies are unique. In this diverse life on earth, humans fall into the category of “vertebrates”, simply put – the one with a backbone. 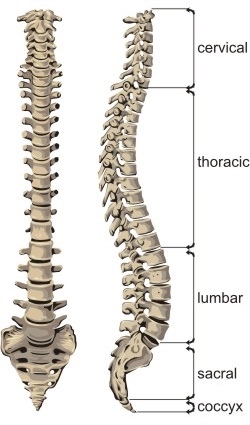 Our spine is made up of 24 moveable bones called vertebrae. Each vertebra stack over another at the facet joints to form your spinal column which ends on your sacrum (tail bone). 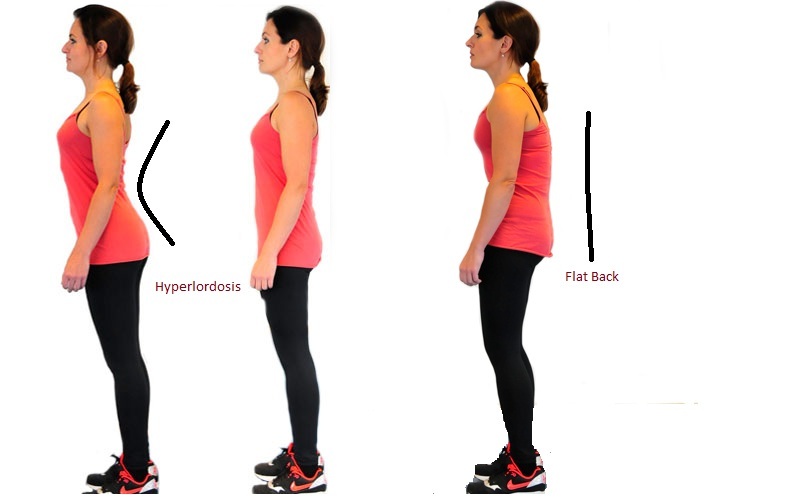 The inward curve of your lower back is called lordosis which is unique to the human spine and helps us stand straight. The other slight upward curve of your upper back is called kyphosis. The reason why you have an “S” shaped spine with these natural curves is to prevent excessive stress on one particular spine segment. It provides the right balance and distributes any mechanical stresses imposed on your body during sitting, standing, running, lifting and other daily activities. Between two vertebrae lies a fluid-filled cushion called spinal disc. Its function is to prevent the bones from rubbing against each other. All the discs of your vertebrae have a spring-like effect and are great shock-absorbers due to its gel-like elastic texture. Your brain continues down as the spinal cord which runs through your spine within a canal formed by all vertebrae. Several nerve roots branch out next to the discs from your spine and supply signals to the arm, trunk, and leg muscles for movement. These nerves are the connections our brain makes with all the structures of our body. This is the problem. We are aware of the fact that our bodies can adapt and heal itself. Yet, we often fail to listen to our body and push ourselves beyond our body’s tolerance capacity. We start with aches and pains, realizing when it’s too late that there’s something much worse happening. This may sound harsh, but you may be giving yourself back pain by not listening to your body. What’s happening to your back? How much weight can your spine take? Do you really know your spine’s load bearing capacity? When you engage in an activity, all the supporting structures of your spine like the ligaments of your spine, back muscles and abdominal tighten to brace your spine. In order to maintain strong spinal support, soft tissue needs to maintain their optimal length. When muscles and ligaments shorten or lengthen beyond their optimal length, they lose their capacity to brace the spine imposing greater stresses. This results in a shear force on the spine which may cause discs to pop. When lifting, the heavier the load and the further away the weight is placed from your body, more effort is imposed on your back muscles increasing mechanical stress to your spine. The soft “S” shaped curve of your spine is lost. Poor postural alignment can severely affect the lower lumbar curve. The curve could either get exaggerated or flat. The position of your pelvis, your hips and the muscles around them play a major role in maintaining a normal low back curve. Injury to your spinal discs is one of the most common reasons why you have low back pain. Faulty exercise methods, high impact sports activities, lifting heavy weights or even sleeping incorrectly could predispose great amount of stress on your spine. 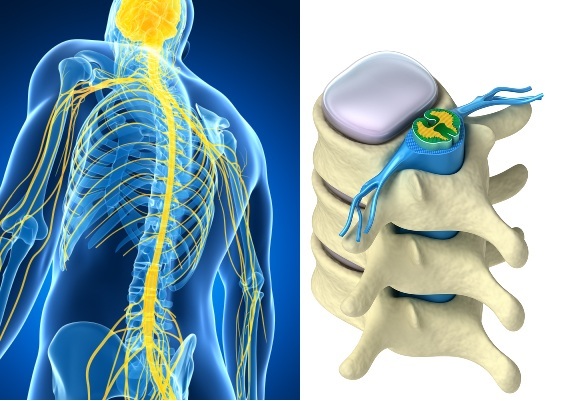 The disc injury could be of various types and degrees that could affect the spinal cord and compress the nerve roots causing pain to be felt immediately in your back or down the back of your legs. Think of a normal burger with all its contents perfectly fitted within the bun. Now imagine pressing onto it causing all its contents to bulge out. The load bearing capacity of your spine also depends on the amount of bone mineral content. The risk of injury is expected to be more among people with low bone density. Lack of vitamin D (sunlight), calcium and other minerals are reported to be less in women than men, thus putting women more at risk of back injury than men if proper care is not taken. 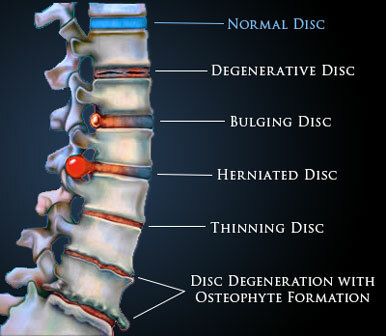 The disc as previously discussed is a fluid-filled gel-like cushion structure between each vertebra. The outer part of the disc is gelatinous and the inner part of the disc is filled with water. During the day, as you engage in various activities, water is slowly squeezed out of the disks. This loss of water is then recovered by your spine by successfully re-hydrating your discs while you sleep. When you are dehydrated and your discs are unable to re-hydrate, they become rigid and lose their capacity to absorb shock thus leading to disc degeneration and back pain. Although there are several treatment methods used by clinicians, identifying the source of your back pain at an early stage and taking appropriate precautions is the best solution. You may want to consider getting your spine assessed by an expert and if necessary get early treatments. We always believe it is better to be preventive than reactive! ← Run safe, run right.